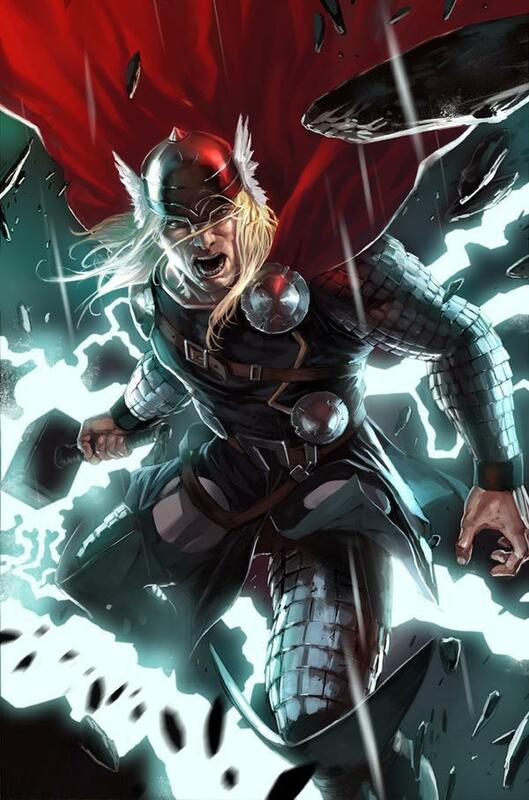 The definitive, chronological, and up-to-date guide and trade reading order for Thor comic books via omnibuses and trade paperback graphic novels. A part of Crushing Krisis’s Collecting Avengers Graphic Novels: A Definitive Guide. Last updated November 2018 with titles scheduled for release through July 2019. 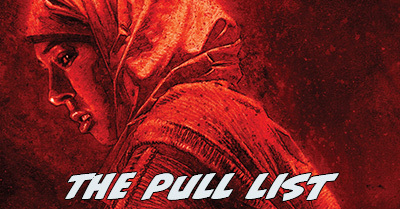 Green Arrow rounds out my first week of DC New 52 reviews – just in the nick of time, as I’ll be reading week two books in a matter of hours! 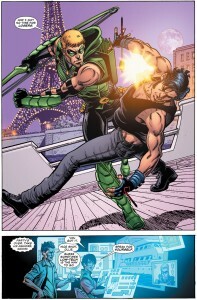 I don’t have much of a preamble about Green Arrow, which is maybe why I left him for last. I know he can be a bit angsty and I had his Kenner Super Friend toy. That’s about all I’ve got. I have a bit more to say about the art on this book. Jurgens was the cornerstone of the 80s and 90s, penciling everything from Avengers to Superman. When I see his name I think of handsome, broad-shouldered heroes and their petite, curvy sidekicks and love interests. Here he’s inked by Perez, another Avengers alum, was the master of the team book, and the man behind Wonder Woman’s post-Crisis relaunch (which I own and adore). This is about as cold as I can come into an long-established hero. Will this all new take on him be the perfect introduction, or was I better off not knowing a thing? 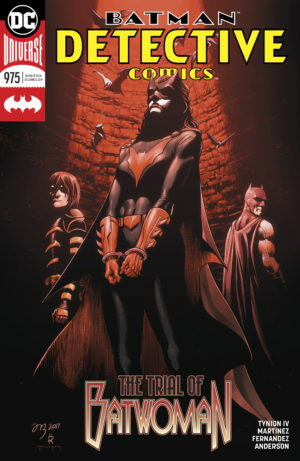 And how will two old-school talents translate into a New 52 book? 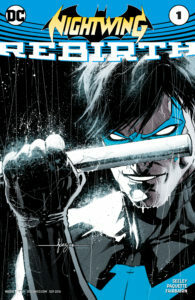 140char Review: Green Arrow #1, Batman/Hawkeye model of a young/cocky xtreme hero on a narrowly interesting adventure. Felt 80s/90s, esp. w/Jurgens pencils. GA defeats a foe on the river Seine. 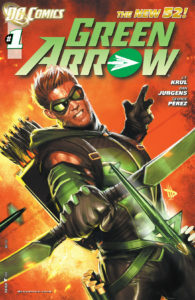 Green Arrow presents a cocksure hero who’s not afraid to get his hands dirty or bloody when necessary, which earns him enemies both in the villain department and from within his own Queen Industries. Not much happens in this issue, strictly speaking, but you could never call it decompressed. Krul packs word balloons into every panel, providing a style of constantly narrating hero that the 2000’s have eschewed thus far. Yet, despite the retro writing, Green Arrow is a modern take-no-prisoners hero. The issue’s art straddles the same old-but-new divide. The Jurgens/Perez team-up lends the issue a decidedly 80s rough-hewn look – except for on GA himself, who is drawn more crisply throughout. The effect makes him seem a bit more high-tech than his surroundings, even if he is a guy with a compound bow. Add to that a modern coloring job and the art has the same nouveau retro feel as the writing. Jurgens’ background shots of Paris are especially great. Green Arrow is a fun single issue adventure – the kind that ought to be in the hands of every eight-year-old comic reader in the world. 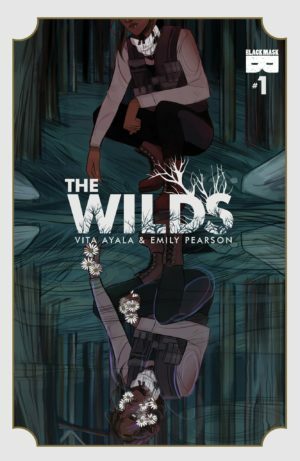 It feels a little skimpy coming off of some of the highs of week one, but it’s an effective and interesting issue that’s worth picking up for the throwback vibe. On Saturday I realized I had been actively avoiding Justice League International. 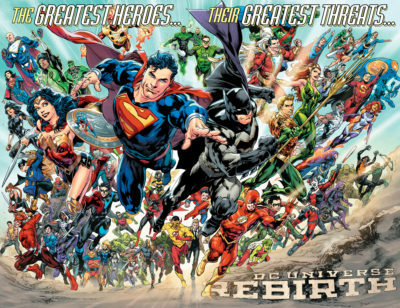 As a fair representation as a lifelong DC skimmer, I look at this cover and see Batman, a lame alternate version of Green Lantern, and a bunch of unidentifiable nobodies. Not exactly the most-inspiring reason to read a comic book. That’s always been one of my major problems with DC – past the heavy-hitters from Justice League of America and a handful of other heroes we all played with in the 80s as super-friends toys, I’ve never heard of these people. Unlike Marvel, they don’t sprout from one of just a handful of classic lines of 60s and 70s titles. I suppose you could say the same thing for the extended supporting cast of the Avengers or the X-Men, but they’re part of a larger interconnected family of stories. Even when they’re off panel their lives are being affected by what’s happening. Can you say the same for Godiva or Vixen? I seriously don’t know! Maybe I’m just projecting my DC distaste – but this weekend I finally sat down to find out by reading this issue. Rating: 2.5 out of 5 – Okay. 140char Review: Justice League Int’l #1 is a standard “let’s start a team” take on a redebut, cribbing Giant Size X-Men. Plot set motion, but not thrilling. 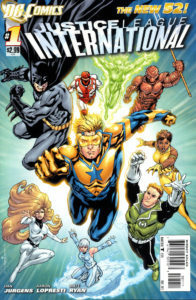 Justice League International has a slight by-the-numbers feel thanks to its hastily assembled multicultural team of heroes (plus hanger-on Batman) responding to orders from a bald guy to face an unspecified geological terror. It’s Comics 101 – and, effectively the first half of Giant-Size X-Men #1. Jurgens works to quickly establish the personalities and conflicts of all the members within the somewhat rote, old-school story. No Morrison-style existential dilemmas here. We’re given at least a hint of the attitudes of each and their powers were all obvious enough to be telegraphed by the art in a few panels of battle (except for Booster’s, which are unclear). 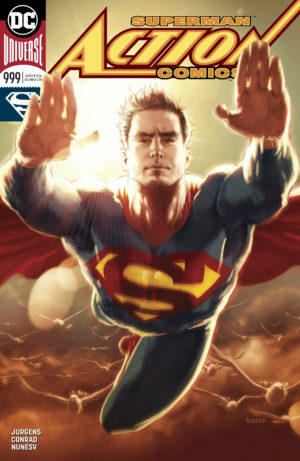 The bottom line is that this cookie-cutter approach aims the book more towards the DC insider than the newbie. 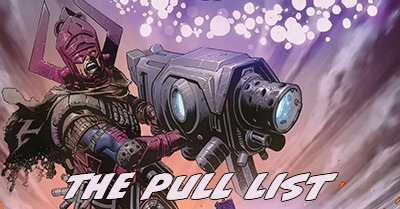 A long-time DC fan will likely be excited to read the B-list characters they’ve grown to love (as I would be on an X-Men b-team). It’s a good intro for a new reader, but I’m not sure it’s worth revisiting in another month.